First Solar is lighting up StockTwits as the alternative energy giant’s earnings report creates an after hours roller coaster. For a great play by play, catch the breakdown at SMB Capital to see how the trade looked after numbers were announced. Despite the reversal down after the close, FSLR remains in an uptrend above a rising upper Bollinger, suggesting that this pullback is a buying opportunity. A break below 160.12 would initiate a secondary downtrend, but the primary trend won’t be breached till 139.71. 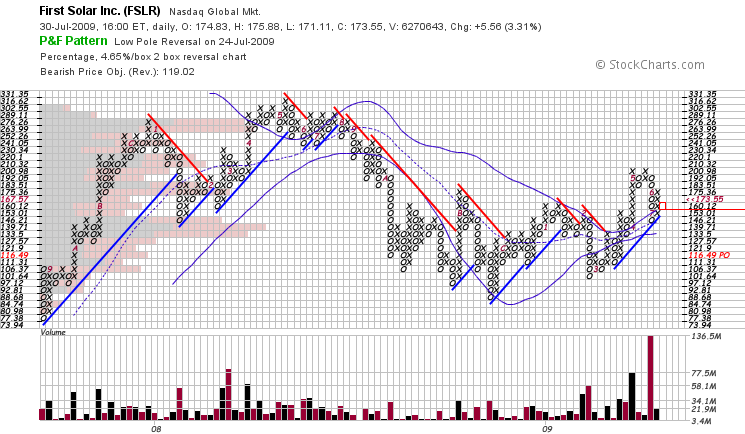 The broad market is holding up well, so my bias remains towards to upside. That said, the NYSE McClellan Oscillator is in a downtrend, so I’m thinking about booking profits and cutting losers before the weekend.